There are multiple bands with the name "Lost and Found." 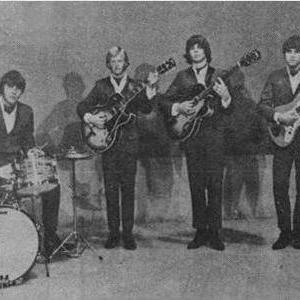 (1) A 1960's garage/psychedelic band from Houston, Texas, featuring former members of the Misfits (another garage band, not Glenn Danzig's band) and part of the International Artists scene (13th Floor Elevators, Endle St. Cloud, etc.) (2) A "speedwood" or "acoustic thrash" duo at "the intersection of the Ramones and John Denver." George Baum plays piano and Michael Bridges plays guitar. (2) A "speedwood" or "acoustic thrash" duo at "the intersection of the Ramones and John Denver." George Baum plays piano and Michael Bridges plays guitar. Lost And Found songs are notable for the catchy tunes and the ability to communicate quite a lot in under three minutes. The music is organic and fun, with lyrics commenting on life, faith, travel, friends and relationships. Michael and George grew up a few blocks from each other in Niagara Falls, New York. Currently, George lives in New York City, and Michael lives in Los Angeles, California. Lost And Found's discography (speedwood.com) includes Pronto, Something Different, Something, THIS, Speedwood 1, 2 and 3, Sikkibahm, Just George, The Lost And Found Christmas Album, and Speedwood Hymns; however, "As You Sow" is not an album by Michael Bridges and George Baum.